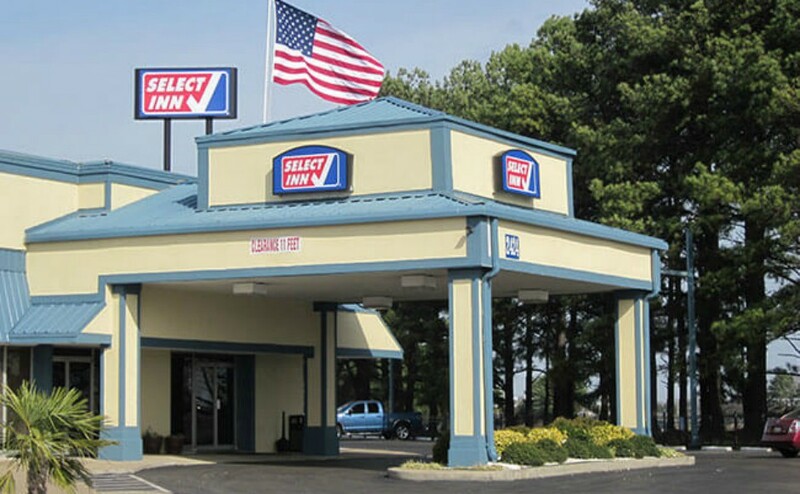 The Middle Tennessee Blue Raiders (5-10, 1-1 C-USA) defeated Southern Mississippi on Sunday within regulation time to pick up their first conference victory of the season. A strong offensive performance led the Blue Raiders to a victory, with MT hitting a season-high .306 in the match. MT maintained their composure throughout the first and leading into the second set, but lost pace with the Golden Eagles. Down 12 points in set two, junior Chelsea Ross and freshman Morgan St. Germain shifted gears, moving from a 19-7 deficit to a 24-17 disadvantage. Southern Miss won the second set with a service error from Ross, leading the two teams into the third set at a 1-1 tie. Middle Tennessee jumped out quickly over Southern Miss (12-8, 1-2 C-USA) in the second half, as Southern Miss would take a timeout with the Blue Raiders holding a 17-10 lead. A mix of service errors from Southern Miss and blocks from Middle Tennessee led the Blue Raiders to a 22-11 advantage. MT would go on to take the third set, 25-14. 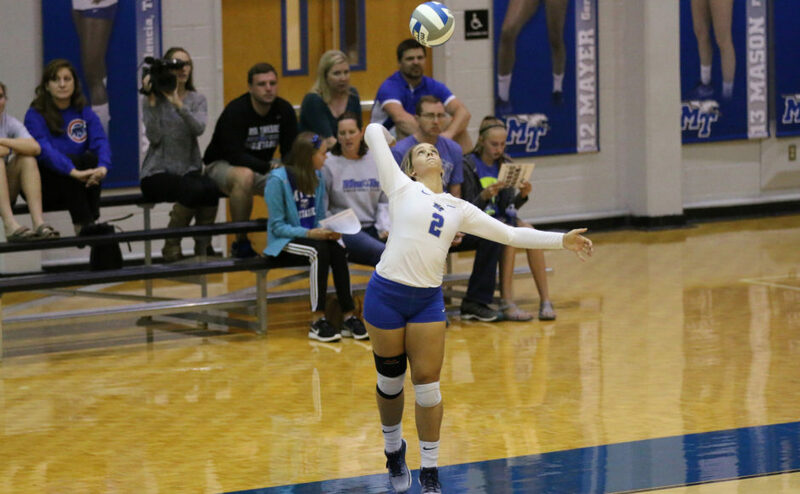 Middle Tennessee fell down on the scoreboard early in the fourth set, trailing the Golden Eagles 14-8. Attack errors from Southern Miss would be prove to be costly late in the game, closing the gap for MT. A kill from senior Monet Marshall overtook Southern Miss and gave Middle Tennessee a 19-17 lead. 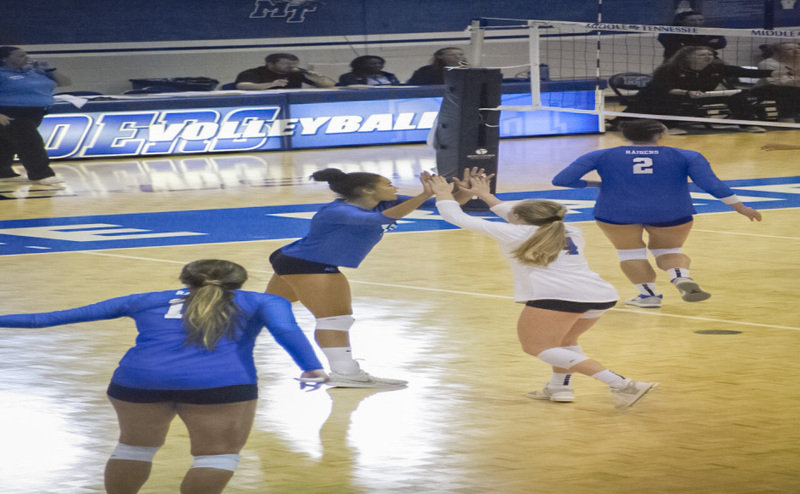 The Blue Raiders comeback from a six point deficit was too much for Southern Miss to overcome, with Marshall finalizing the match with a kill, taking the set at 25-22, and match, 3-1. 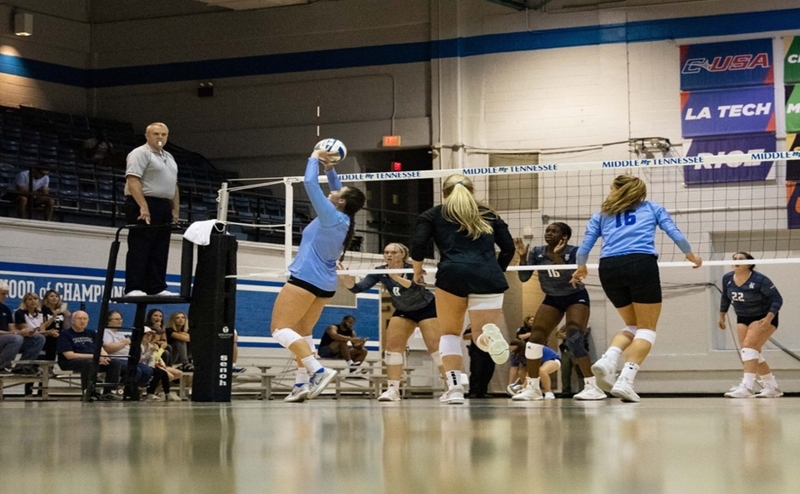 Middle Tennessee is up against the University of Texas at San Antonio this Friday at 7 p.m. in the Alumni Memorial Gym.